Certainly the Working Class could take care of our own as we did for centuries – if we didn’t have to waste our lives slaving for the bloody bourgeoisie! The Save Southend NHS campaign group has today raised serious concerns in the HSJ about a new privately-run enterprise called Care Rooms (www.carerooms.com) – an Airbnb style company which places discharged NHS patients in people’s spare rooms. Through Care Rooms, the NHS pays private home owners “with no care experience’ up to £1000 per month to host patients who still require some medical support and would normally be in a hospital setting for the rest of their recovery or awaiting a place in an intermediate care or residential facility. Is there anybody who hasn’t got a copy of the anarchist’s cookbook? I remember it from school, it’s donkey’s years out of date now. A bloody bus time table might be ‘of use to terrorists’. The state is fooling nobody with this nonsense, back out you idiots. For years and years we, anarchists and libertarian in Iraqi “Kurdistan”, Europe and other countries all our publicities and our slogan have been about Yes for self-administration in everywhere and for all the communities , but No to State. We raised our voice against the Kurdistan Regional Government (KRG) and its very recent scenario of referendum on “independent Kurdish State”. We are very sure the other anarchists among Arab, Turkish, Assyrian and others had the same attitude. We also believe the same attitude from our anarchist comrades throughout the world to say no to State, authority, nationalism and to be against the nationalist and against pro-fascist war. Iraqi “Kurdistan” has been going through a very difficult time since Oct 2015. The wages of public sector employees have been reduced to less than a half, the number of unemployment has increased sharply, the price of everything has gone up, business and the government services have dramatically been cut off. This all happened in addition to the war with Isis and disputes between (KRG) and the central government over the budget and the disputed lands and city like Kirkuk and the others. So many strikes, demonstrations and boycotting work during this couple of years took place. Some of them lasted for few weeks even months. KRG instead of resolving all these problems tried to divert the attention of people from the real problems by announcing in July the referendum of independent Kurdistan, state of Kurdistan, on 25th of Sep.
Masoud Barzani the head of KRG set up the day of referendum without consulting Iraqi, neighbourhood countries, US and European countries. Once he called for referendum, all of them rejected it and told him that he will not get any support. After the referendum of 25th of September Iraq, Iran and Turkey governments came together against it and threaten KRG with economic sanction. Iraqi government asked KRG to withdraw the decisions of the referendum and get back to the Iraqi constitution in taking any decision. Haider al-Abadi , the Prime Minster of Iraq gave Barzani warning that if he does not back down, the Iraqi government will take over control of Kirkuk province’s oil wells that are at the moment under the control of KRG. Three days ago the Iraqi government sent a huge numbers of Police, military and Hishdi Shaibe [ the Siha paramilitary group] with various of heavy weapons to take positions on the city’s approaches. The civil war now very imminent between Peshmarga, KRG forces, and the above forces of central government. 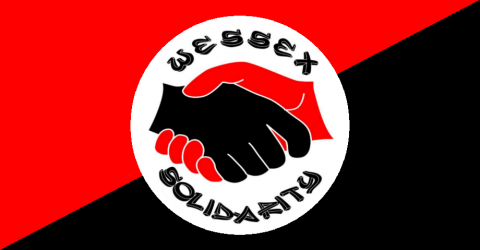 We are asking for support and solidarity from our comrades anarchists to protest, making a statement against this war, show their anger against the war and solidarity to Iraqi people. We are anti State because we are against the current political system. We are anti-political party and anti-authoritarian ideology from left to the right, because we are anti class superiority, and anti-private ownership and exploitation of the labour. All the wars in history happened due to protecting class superiority, private ownership and labour exploitation. We are against war, weapons and hatters between the different cultures and between different ethnic minorities. War in general produces death and slavery. The outcome of any war does not support starting the social revolution, in fact it damages and weakening the revolution climate. In the meantime, war opening a very big market for selling/ buying weapons and destroying the environment. War makes the poor people poorer and class superiority lasts longer. While we are against war, we are very much in favour of people self-administration wherever they are living communally and working collectively. We are also aware wherever the state exist there is no freedom, wherever political party is, there is no self-thinking and individual independency. Wherever the businessmen and money are, there are slavery wages and exploited people. In Iraqi “Kurdistan” there has been a strong authority for the last 26 years, there has been the bourgeois in power. For the last 26 years people deprived from the real freedom and from making the decision by themselves. For the long time the ruler has done very little for the people in “Kurdistan” in term of providing services. They encouraged people to move from the rural area to the towns and cities, making so many business contracts with the foreign oil company and corporations for their own profit, sold all the public lands and many more. In short “Kurdistan” became the home of many multinational companies, the financial institutions and the spies network of the neighbourhood countries and others. Since then they acted like a proper state in whatever they wanted to do. So why should we expect different when they set up their own “independent state” and think it will be better than what the people have it now? We ask all our anarchist comrades to support and have solidarity with us to prevent this war. It is true that your opposition to the military and nationalist war in Iraq, if happens, may not as effective as our opposition, however, your solidarity will be crucial and greatly appreciated. We again are calling our whole comrade anarchists especially Arab, Persian, Turkish and Assyrian speakers to raise their voices and act to stop this viscous war that is not in the interest of working class and poor people in Iraq and “Kurdistan”. Being silent and not be serious about it, is directly or indirectly serves the politicians, the big corporations and the capitalist system. We therefore have no choice but fighting back the system, its action and its war. We also expect the other anarchists wherever they are to stand with us, firm and to support the children, elderly and the disable people in Iraq. Red And Black Telly: MORE NEWS FROM THE WHITECHAPEL FRONT LINE.